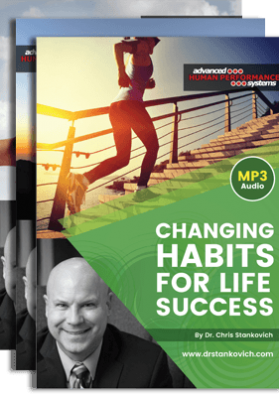 Buy all 3 Life Success audio files and save! Optimal Balance: The theory of Optimal Balance is an exciting collection of Dr. Stankovich’s lifelong discoveries from his work as an educator studying the elements of eternal happiness, positive emotional & physical health, and peak productivity in all aspects of life! Optimal Balance is a life-state where people thrive by becoming more motivated, more productive, and more confident & happier with the overall quality of their lives by adjusting their personal perception and stress control while simultaneously living a life of meaning and value! Why let stress, burnout, and general life frustration take away the quality of your life for even one more day when you will be amazed at how quickly Optimal Balance can immediately change your life! 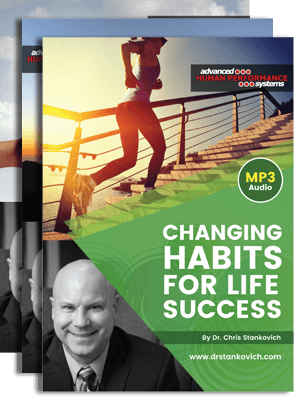 Changing Habits for Life Success: From Dr. Stankovich’s exclusive ‘Life” Series, Changing Habits for Life Success is designed for anyone looking to improve their life by eliminating old, “bad” habits while beginning new, “good” habits! 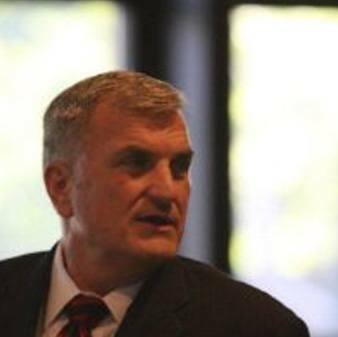 On this program Dr. Stankovich will discuss a number of important concepts, including behavior modification and why people develop habits, how emotions impact habits (like emotional eating), triggers that immediately impact subconscious thinking and behaviors, how perception impacts habit development, plus much more! Don’t waste another day wishing you could change the habits in your life when you can learn the tools that will help you make these long-lasting, healthy, positive changes! 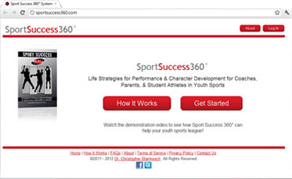 Leadership for Life Success: From Dr. Stankovich’s exclusive “Life” Series, Leadership for Life Success is designed for anyone looking to improve upon their leadership abilities, whether to lead a business or simply become a more effective parent. 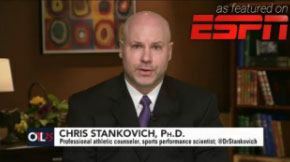 On this program Dr. Stankovich discusses in very simple language key psychological theories and applications found to be present amongst successful leaders, including attitude and confidence, responsibility, breaking comfort zones, critical thinking, dealing with stress and adversity, understanding how thoughts and behaviors impact one another, empowering others to raise the level of performance, plus much more!